Cannabis can have vast medical benefits, but only if used correctly. Once you figure it out, it can also be a lot of fun. There are 1000s of products on the market. How do you know which is right for your needs? The wrong choice could mean ineffective medicine and/or negative experiences. There are billions of neurons (brain cells) that make up your endocannabinoid system. Many of them are contained in your brain. When you use cannabis, the unique chemicals founds in the plant (known as cannabinoids) interact with those neurons and make them “fire”. While no one knows how physical processes can cause subjective feelings, we do know that this “firing” is what gets you “high”. The unique architecture of your endocannabinoid system is why different people get different highs from the same strain. Many don’t realize it, but you also have neurons throughout your body too! That means that the same endocannabinoid system that gets you high is responsible for affecting your body as well. If you’ve ever been “couch-locked”, it’s because the strain of cannabis you ingested interacted rather strongly with your body’s endocannabinoid system. Just like with your brain, the architecture of your body’s endocannabinoid system will determine how cannabinoids interact with it– making the difference between muscle relaxation and muscle tension. Many don’t realize it, but you also have neurons throughout your body too! That means that the same endocannabinoid system that gets you high is responsible for affecting your body as well. If you’ve ever been “couch-locked”, it’s because the strain of cannabis you ingested interacted rather strongly with the parts of your endocannabinoid system that regulate your body movement. Fortunately, your DNA can tell us a lot about you and your endocannabinoid system. Your genes also hold the key to your health and how it can change in the future. Our team has found a way to use big data to help you find the cannabis products for your medical and recreational needs. Fortunately, your DNA can tell us a lot about you and your endocannabinoid system. Your genes also hold the key to your health and how it can change. Our team has found a way to use big data to help you learn about your cannabis related health so you know how to order cannabis the next time you’re shopping. Get your DNA sequenced with our at-home test kit. If you’ve already done this with another company ( like 23andMe or Ancestry), you can skip this and just upload your raw data. Tell us more about you by completing an optional questionnaire and reviewing products you’ve already tried. Think of it as you helping us help you. Get your personalized cannabis-health report, full of important insights about how your brain and body interact with the cannabinoids and terpenes found in cannabis. Your personalized report is the result of over 150 analyses run on your genetic data. Your cannabis health report will show you which cannabinoids and terpenes are best for you. You’ll also receive information about your general health and genetic predispositions so you can learn how cannabis can best assist you. 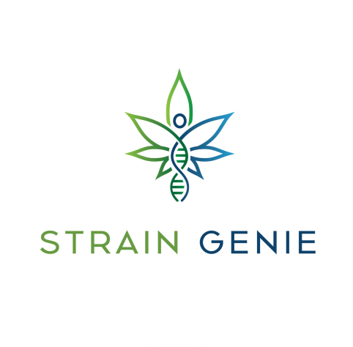 We’ll direct you to the right types of cannabis products you should look for to help optimize your health. We’ll also help keep you away from products that could do damage. Your cannabis health report will show you which cannabinoid ratios and terpenes are best for you. If you live in a state that has medical or recreational cannabis, we’ll even help you order your recommended products online for delivery or pickup. We can also recommend CBD products, available for shipping nationwide! If you live in a state that has medical or recreational cannabis, we’ll even help you order your recommended products online for delivery or pickup from nearby dispensaries.